Probably because of my visit to Mt Etna in 2014, I love to learn more about indigenous grapes from Sicily. Therefore, even though I could not stay behind for the Sicilian wine dinner that Marco from Italy Small Vineyards had kindly invited me to, I still went along just to taste the wine and talk to Guiseppe Laudicina, sales manager and one of the family members of Baglio Oro from Marsala in western Sicily. 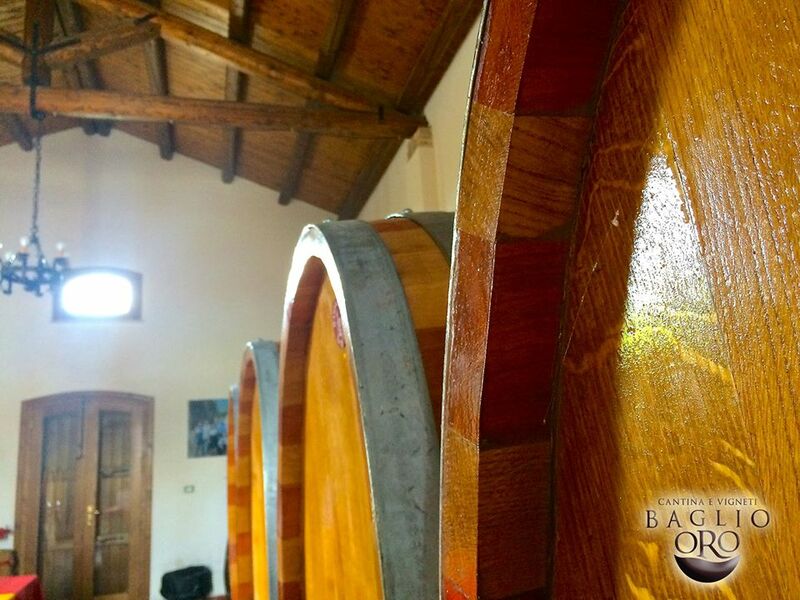 Baglio Oro is a family estate founded by Giuseppe’s grandfather, also called Giuseppe or ‘Don Pino’. 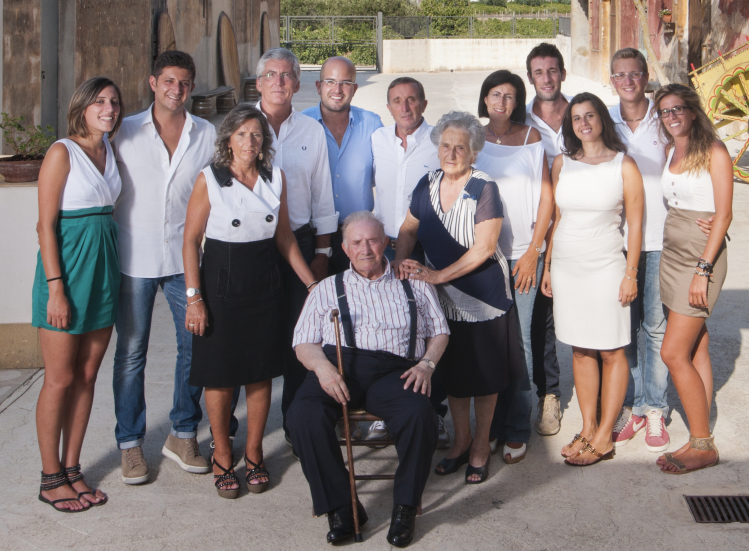 He used to sell grapes and bulk wine to other wineries but then the family realised just how good quality grapes the vineyard could produce and decided in 2012 to start making and bottling the wine under their own label, Baglio Oro. Oro means gold, probably referring to the family’s other business in jewellery, while baglio means manor house, referring to the building on the estate. The family converted one part of the manor house into a winery and cellar and retained another part as a ‘Museum of Rural Life’, showcasing ancient Sicilian arts, crafts and domestic appliances once used in everyday life on the island. Don Pino is still pretty much hands-on in the vineyard, and he is helped by his children and grandchildren. The vineyard is located in the upper part of Marsala at 160m altitude, blessed by the southern wind that moderates the otherwise too high temperatures. 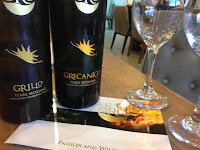 Of the white wines we tried, the Grecanico (same as Garganega used to make Soave in Veneto) only had 11% alcohol, a pleasant wine with floral and citrus notes. It was a hot afternoon and both Ali fromWine Times HK and I thought of Lamma, beach and seafood. The wine also reminded me of Muscadet from the Loire, the perfect summer afternoon drink for Hong Kong. Catarratto is the island’s most widely planted variety. It was used to produce the sweet fortified Marsala wine in the past and now is often distilled or made into grape concentrate. When made into wine most Catarratto is pretty ordinary but Baglio Oro Catarratto, with good concentration and freshness, is one of the better IGTs that express the variety well. Giusseppe said all the white wine underwent skin maceration to extract more flavours. He compared this to eating a healthy and ripe apple with the skin—that is where all the flavours are. Another local grape variety we tasted was Grillo, a full-bodied white wine with herbaceous and perfume aromas. I could imagine that it would be perfect with the tuna tartar Marco had prepared for dinner. While Baglio Oro doesn’t make Marsala, they do make a late harvest Grillo, Yema. At 14% alcohol and 80g/l residual sugar with multi-dimensional flavours and surprisingly elegant, it is rather like a heavyweight spätlese Riesling. The red wine, a 100% Nero d’Avola from 2012, was vibrant, a lot less meaty than most Nero d’Avolas. Giusseppe stressed that they want to preserve the true varietal expression of each grape variety so only use oak sparingly. In fact, they commissioned Li Causi from Marsalbotti, a family-run artisan cooperage in Marsala, to construct a series of 160hl barrels made of a combination of cherry and oak so that the cherry wood could tone down the strong oak aromas. This wine only stayed in these cherry/oak barrels for a few months to make sure the wood flavours support but not dominate the varietal characteristics. All the wines are well-made and honest. I’m glad that I didn't miss the chance to taste them. 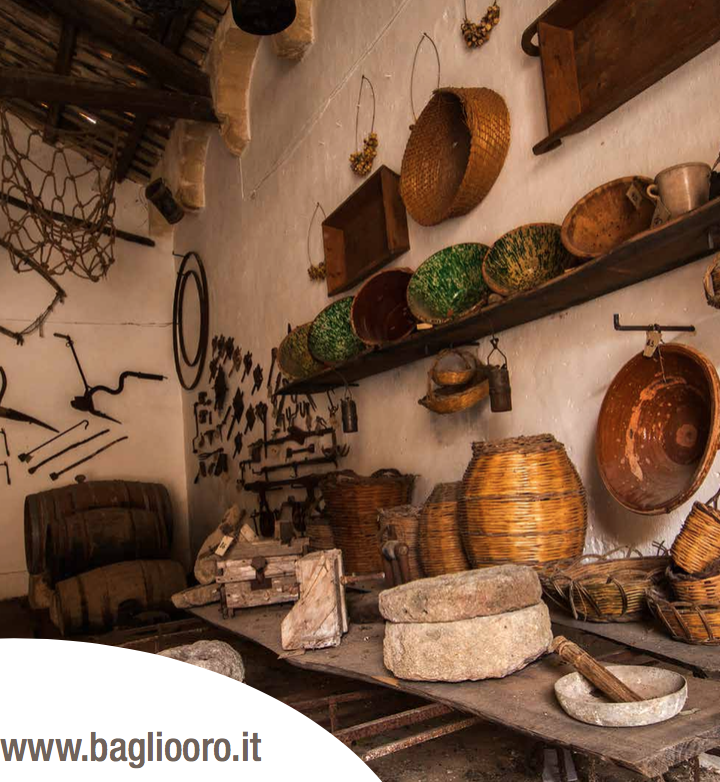 Baglio Oro is available from Italy Small Vineyards. 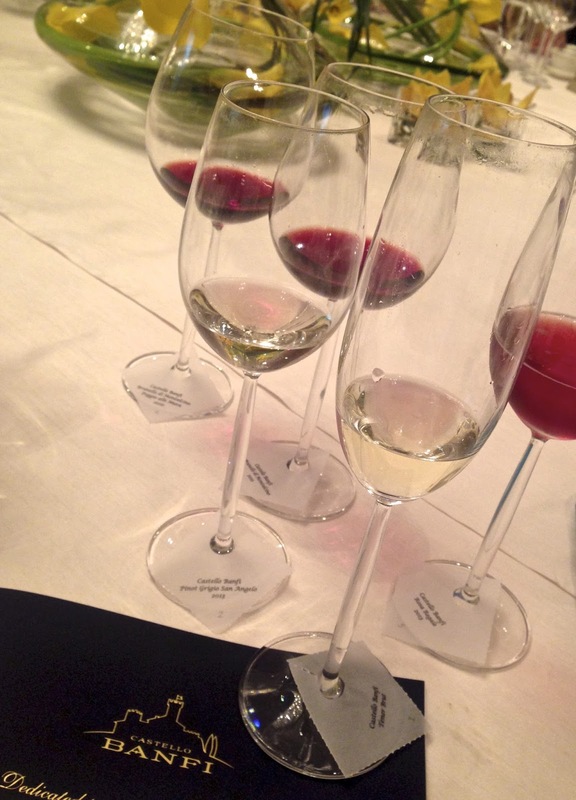 Castello Banfi, considered one of the top estates in Brunello, hosted a media lunch recently. It was an intimate event with around 10 wine writers, two ASC members, Paolo Fassina, Banfi’s Asia Manager, and Cristina Mariani-May, its co-CEO. I had met Cristina briefly before and judging by her accent and her address I thought she was American, probably married into the family... but how wrong could I be! So it was nice that I could finally set the record right at the event. Cristina is in fact 100% Italian and the third generation owner co-managing the company with her first cousin. 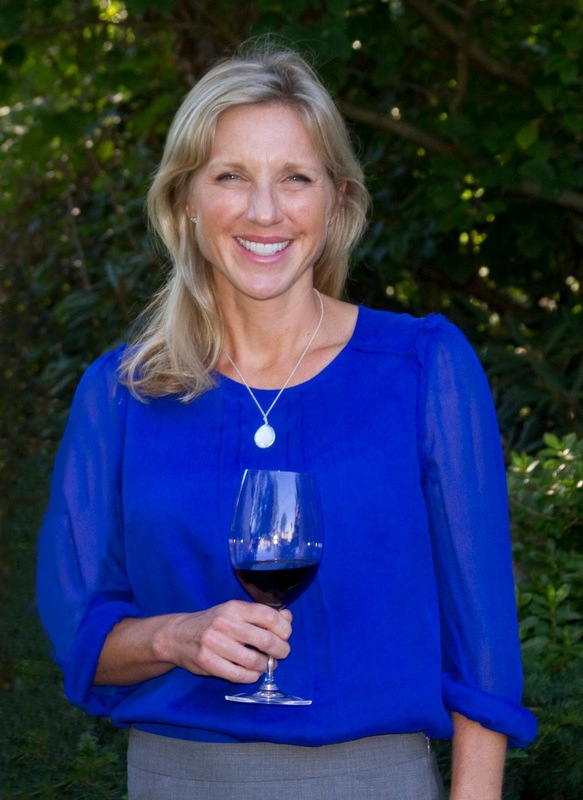 Yes, she lives in New York but so did her grandfather, who was a wine merchant, and founded the company Banfi. The company’s name was inspired by his aunt Teodolinda Banfi, a lady with a big personality who was the head of household at the Vatican and an expert on wine. Longing to find its roots back in Italy, the family established Castello Banfi in Tuscany in 1978, gradually assembling a contiguous estate of 2,780 ha in Montalcino. Banfi is not the biggest estate in Montalcino but it does have the biggest single vineyard. Only about a third of the property is planted with vines, the rest is home to olive groves, fruit trees and woods. In addition, the family also owns the historic winery Bruzzone in Piedmont, now dedicated to producing sparkling wine. Probably because of the American influence on discipline and the quest for perfection, John and Harry Mariani, the second generation, collaborated with the University of Milan on a Sangiovese Clonal Research project that eventually identified 15 clones out of 650 on the Banfi estate and the surrounding area that best represent the characteristics of the Sangiovese grape. Since 1992 Banfi’s new plantings of Sangiovese always have at least three or four of these 15 clones that are suitable for the specific soil and are complementary to each other. 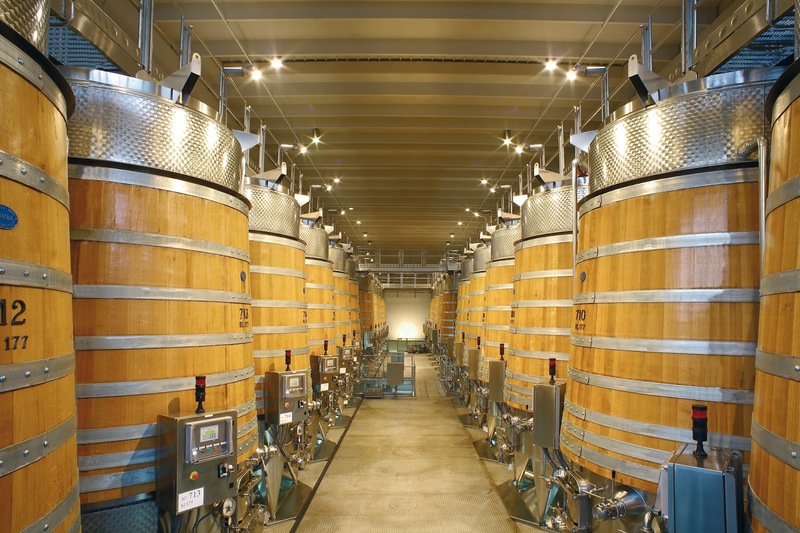 The other thing that Cristina is proud of is the hybrid fermenters made of a combination of wood and stainless steel, which help produce the optimal wine: less stringent, softer and fleshier. The evidence? James Suckling rated Banfi’s 2010 as its best vintage. The lunch turned out, it seemed to me, to be a two-way interview. While we were asking Cristina about the wine and the estate, she was quizzing the media at the table about the Hong Kong/China wine market with questions like why the Chinese prefer red wine, are drinking habits changing, what is the future of Italian wine in this part of the world, resulting in a lively and entertaining discussion. Although we all had different opinions, one thing for sure is that the recent consolidation resulting from the anti-corruption drive on the mainland is a positive thing in building a sustainable wine market in China. We should focus on the younger generation and instead of talking about wine in a technical and inaccessible way, we should help them to enjoy and welcome wine as part of their everyday lifestyle. Going back to the wine, the welcome drink was Tener, a sparkling wine with an unusual blend of Sauvignon Blanc and Chardonnay using Méthode Charmat (fermentation in tank). Simple but pleasant, it was perfect both as an aperitif and to pair with the shrimp spring roll we had for lunch. 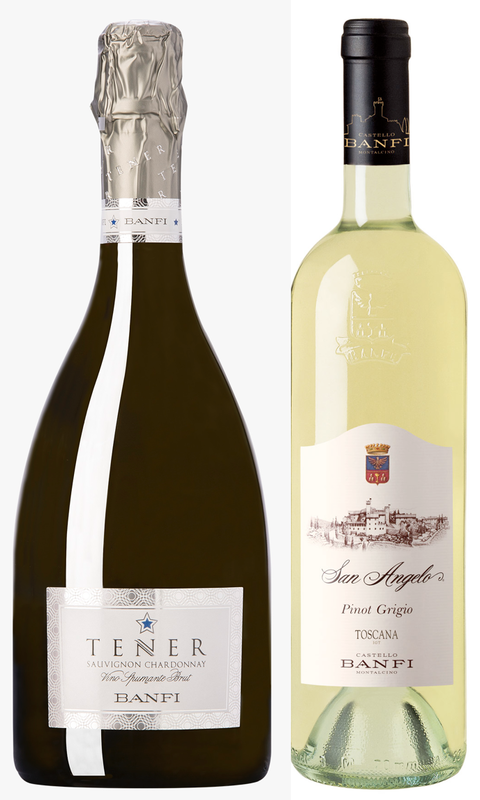 I particularly like the San Angela, a 100% Pinot Grigio IGT wine from Montalcino. It is richer than the typical Pinot Grigio from northern Italy because of the warmer Tuscan sun. These two value-for-money wines would be an ideal introduction to new consumers especially alongside dim sum. The Brunello di Montalcino 2010, with its black fruits accompanied by hints of earthiness and spices, is drinking well now, thanks to those hybrid wood/stainless-steel fermenters, while the single plot Brunello di Montalcino Poggio Alle Mura 2010, with more depth and concentration, will age beautifully. 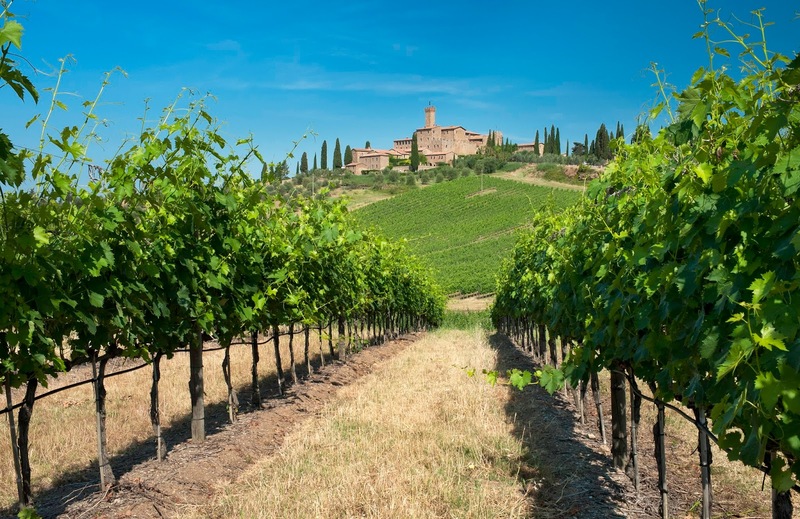 Banfi is certainly not the artisan producer one may be looking for in Brunello and its wine may be made with the American market in mind, but so what as long as it is made well and with such a passionate owner behind it? Banfi is available from ASC Fine Wines. At a recent lunch with Darren Rathbone, CEO and Group Winemaker of three Australian wineries: Yering Station, Mount Langi Ghiran and Xanadu from Australia, together with the Northeast team, and a few friends from the F&B and media side (Ali Nicol from Wine Times HK was one of them), the discussion turned from the general wine and food matching to the more thought-provoking of how to crack the Chinese restaurant market, have them to sell more wine leading to more Chinese to consume wine. This topic comes up regularly but nobody has an answer. Is it that Chinese are just not into drinking? Darren replied with a definitive no. He said Hong Kong Chinese brought up or born in Australia, as far as he is concerned, drink like and as much as average Australian do, and they drink with Chinese meals. It’s only visitors and new immigrants who don’t drink that much. Shane Wilkins, F&B Director from The Langham where there is a two Michelin stars T’ang Court, and Dennis Cheung, sommelier of Celestial Court in the Sheraton where we were having lunch, also chipped in, saying that both their Chinese outlets serve a fair share of wine, but admitted that the majority are high-end and BYO (Celestial Court charges a whopping $500/bottle corkage fee!). There are ever increasing wine events and dinners in Hong Kong but the latest figures showed that Hong Kong wine import in terms of volume in the last few years was pretty stagnant and in fact slightly decreasing at 4.1-4.2 litres/capita (note that this is official net import figure, not consumption), meaning that consumers are not drinking more and the market is not expanding. Threading together other observations and discussions, it is quite clearly that there is only a small core of wine consumers in Hong Kong (mostly comprised of trade) who drink more than their fair drink and nearly every day, and then there is a bigger group of occasional drinkers who may drink anywhere between 1-4 times/month. The majority of consumers is drinking even less or nothing at all. I had the same conclusion two years ago and it hasn’t changed. Judging by the comments of Darren, Shane and Dennis, it is not that Chinese don’t drink or cannot tolerate alcohol. So why isn’t the wine market growing? I really think we only have ourselves to blame, that we fail to make wine more accessible by talking jargons rather than enjoyment, thereby scaring away average consumer who feel they do not have adequate knowledge to try it. Sadly, this ‘I know it all’ attitude seems to be infectious. 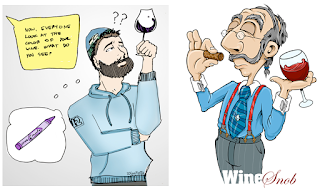 Wine consumers who think they like wine and all enthusiastic to enrol in one of the many wine courses often graduate to view wine as a challenge that they have to guess the grape varieties and name all the aromas. Once they guess the first wine (correctly or not), they then move on to the second one. Worse, they often show off their acquired knowledge by talking about (guess what?) jargons and labels in front of their ‘normal’ friends, thereby intimidating them rather than aspiring them to drink wine. They change from wine lovers to wine snobs and forget that wine is about enjoyment. The other issue is the F&B industry. House wine or wine by the glass is likely to be the first glass of wine for average consumer. 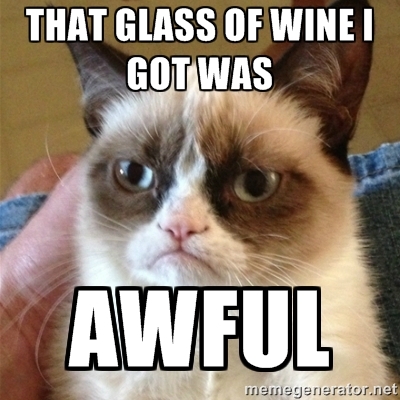 However, most house wine is way overpriced for the quality. These first timers may not understand wine but they can certainly tell that the wine doesn’t taste good. For $80 a glass of bad wine, they’ll probably go back to beer or cocktail. 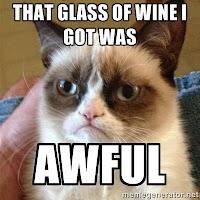 I was told that one bar owner refused to change the house wine because he bought it for $19/bottle and sold it at $60/glass. Another hurdle is availability. 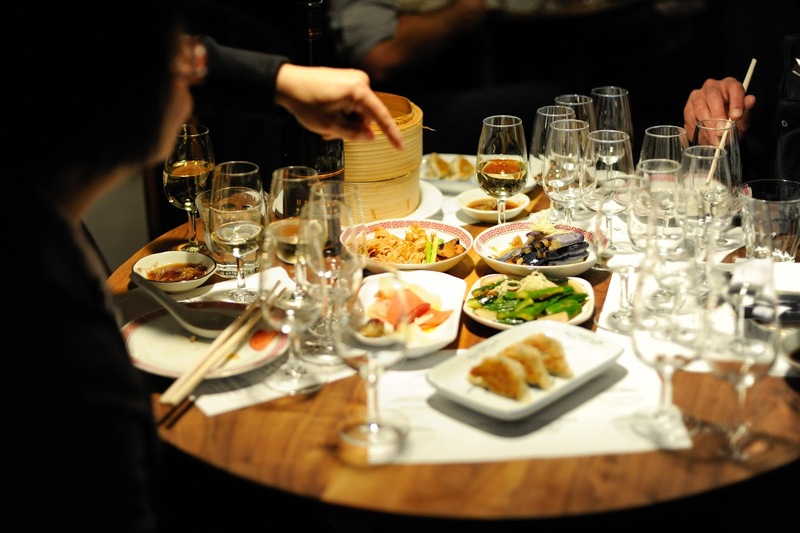 We eat Chinese/Asian food most of the time but unless we dine at the likes of T’ang Court or Celestial Court, wine is not readily available at our local restaurants. This further reinforce the misperception that wine is a special occasion beverage. If we can persuade these restaurants to serve wine by the glass at a fair price, I think the wine scene will be different. In fact, I would love to see our leading fast food chains serving wine by the glass with their evening meal combos in not too distant future. Only by taking away the prestige image of wine can we truly expand the market. Let’s work on this together.